The Mayanot Shul is hosting all night Learning! A wonderful community atmosphere, with light refreshments served. 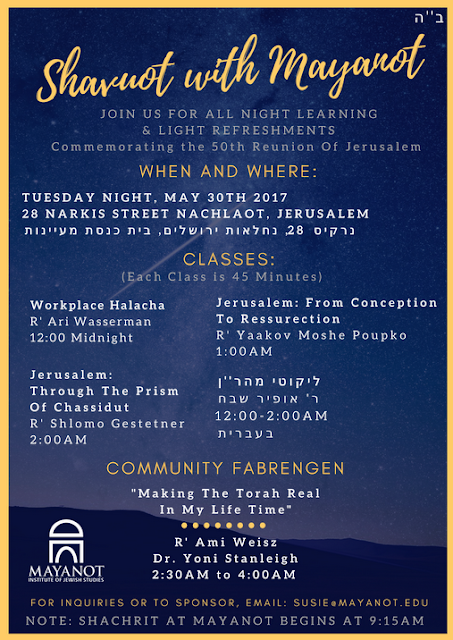 "Making The Torah Real In My Life Time"
To join the Mayanot Shul Facebook Page and receive updates, click here. It was 1987 and six young Yeshivah students, who were Shluchim at Ohr Elchonon in Los Angeles, decided, one day, to skip the Yeshiva lunch and dine at the Milky Way Restaurant on Pico Boulevard. The proprietor of the restaurant was impressed with the students, and in her signature generous spirit offered some special dishes ‘on the house’. 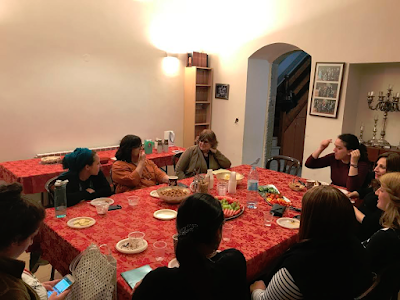 However, she did more than just offer complementary delicacies to the Yeshiva students; she listened to them, discussed life with them and in general made these out-of-town young students totally welcome in her restaurant, as if it was her own home. 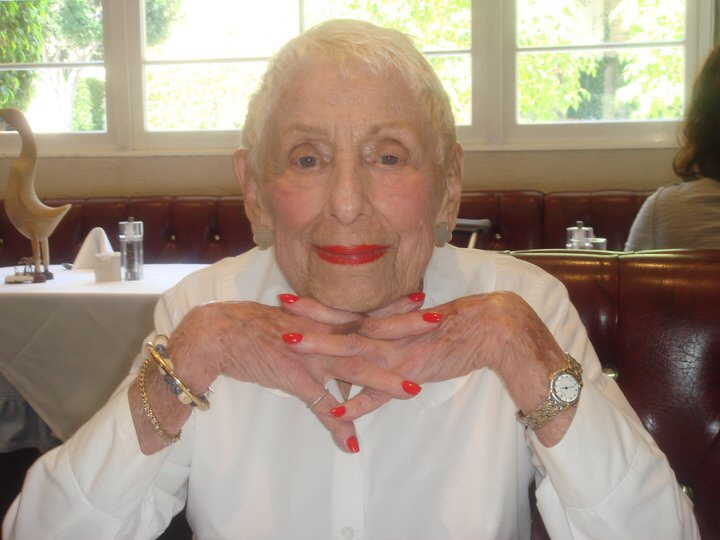 What they soon learnt about Leah Adler, the proprietor of The Milky Way Restaurant, was that she was an extraordinarily kind, wise, and giving person. Rabbi Kasriel Shemtov, executive director of the Maynot Institute of Jewish Studies, was one of those six shluchim. “Leah, or Lee Lee as she was known, cared personally for her customers she listened to their stories, to their problems and rejoiced in their joy”, he shared. When he heard the sad news of her passing he knew that Mayanot should honor this unique person. Born in Cincinnati, Leah developed a love of music, learning Piano at age five. She studied at the Music Conservatory and graduated from the University of Cincinnati. She opened her own art gallery in Scottsdale and later her restaurant in Los Angeles. In 1945 she married Arnold Meyer Spielberg, and they had four children — Steven, Anne, Sue and Nancy. She is survived by her children, her eleven grandchildren and five great grandchildren. On Thursday, March 23rd, 2017, together with Rabbi Binyomin Lisbon, the founder of Kosher Supervision of America (KSA) in Los Angeles, a special Shloshim commemoration took place in loving memory of Leah ‘Lee Lee’ Adler at both the Mayanot Men’s and Women’s campuses. The Mayanot women’s program studied Mishnayos, in merit of Lee Lee. At the Men’s Program, the students all participated in a Siyum masechta and special fabrengen with several guest speakers who all knew the nifteres. Rabbi Binyomin Lisbon, spoke at both events. 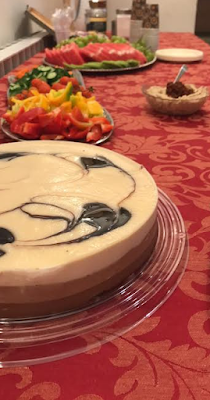 As the Rav haMachshir of the restaurant, he knew Leah Adler very well and described her unique qualities and emphasized how we can all learn from her kindness, open heartedness and listening ear. “She was a gem of a human being” he said. “She had an incredible personality and truly made an impact on you, even if you only spent a short time with her. Her character, her warmth of spirit, and her ma’asim tovim were remarkable”. 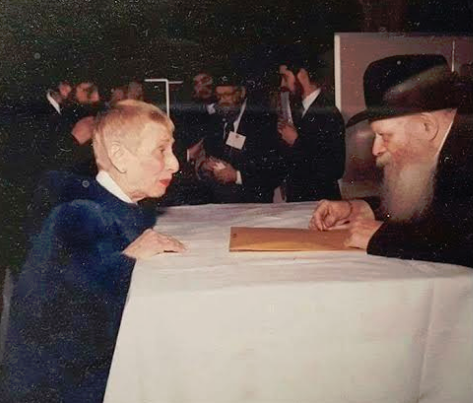 Moshe Stein shared the first time he and Leah both met the Lubavitcher Rebbe at the Machane Israel Fund talk in 1990, and how he spoke to Leah right after she met with the Rebbe in New York. “It was absolutely phenomenal”, he said. “Lee was really inspired by her meeting with the Rebbe, she was beaming like a ray of light, shining… I am so grateful for that memory”. When Leah and Bernie Adler first desired to provide fine kosher dining in Los Angeles, they approached Rabbi Lisbon and told him they would only embark on this project, which at the time was uncharted waters, if they would receive a letter of blessing from the Lubavitcher Rebbe. The Rebbe’s letter is prominently displayed in the restaurant, to this day. Faigy Zilberstein, an old friend of Lee Lee, was kind enough to come to Mayanot and share her memories with the students at the Women’s Program, which was greatly appreciated by all. This special Shloshim event was coordinated with the help of Leah’s son-in-law and daughter, Shimon and Nancy Katz. 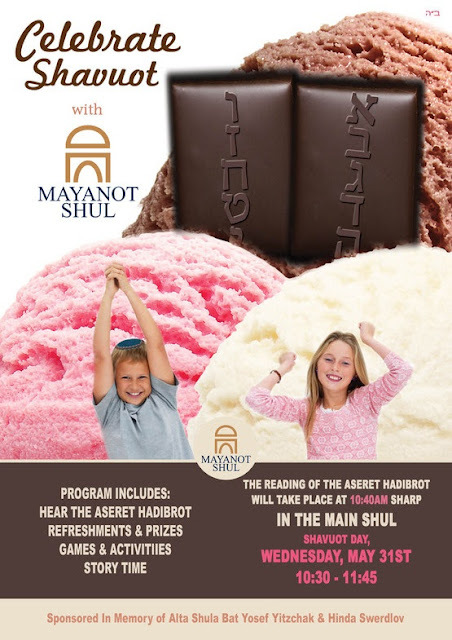 The Mayanot family sends their condolences to Leah’s children and their spouses and their families; Steven Spielberg & Kate Capshaw, Shimon & Nancy Katz, Danny & Anne Opatoshu, and Jerry & Susan Pasternak, May they all be comforted with the mourners of Israel. This summer Mayanot will be hosting over 4,000 Birthright Israel participants, and is dedicating the volunteer activities in Leah’s merit, the activities which so greatly reflect her life, l’zchus - Leah Faigel Bat Shraga Feivel. May her nesahmah have an aliyah and may her memory be a blessing and an inspiration for all of us! Watch the video of the event, here. The Mayanot Israel Alumni Women's Network gathered on Tuesday May 23rd, for their second meeting. Graciously, Mrs. Rivka Marga Gestetner, the Mayanot Women's Program educational director, offered her home for the gathering. 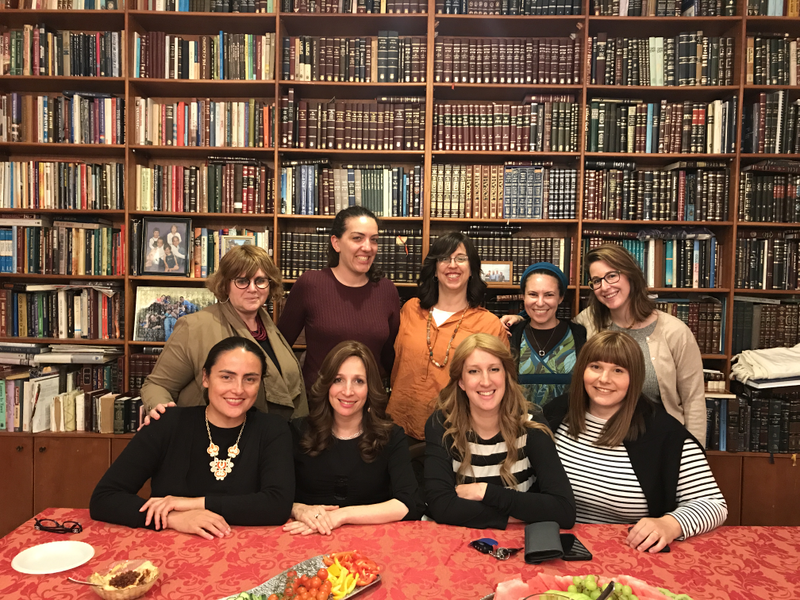 It was fitting that the women's reunion occurred the evening of Yom Yerushalayim, celebrating the anniversary of 50 years of the reunification. The city was celebrating a reunion and so were the Mayanot women! It was a wonderful atmosphere, as all of the women who gathered, have made Aliyah themselves, building a life here, in Jerusalem. The group spanned several years of Mayanot alumni. Some students present had attended the very first year of the program, while others represented the most recent graduating class. It was wonderful catching up, and being able to hear what everyone is doing in their life, building families, careers and doing it in Israel. 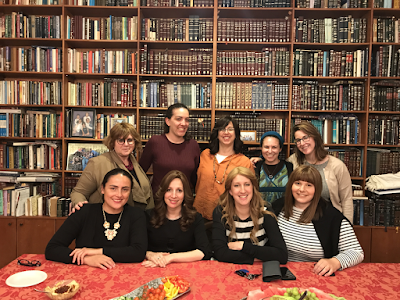 The new Scholar in residence, Mrs. Freidy Yanover shared Torah relating to Shavuot and was lucky enough to meet all of the Alumni in attendance. Mrs. Yanover eloquently spoke about receiving the Torah on Shavuot, the Jewish people's marriage to G-d, and our level of choice at Sinai & in our everyday lives. She shared how, "the Sinai experience is a feminine one, in that it’s fluid and not static. We may feel far at times, or even down, but we must always remember our relationship can never be ruptured, it can always be repaired." 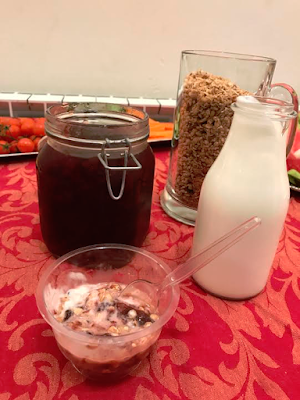 Rivka Marga, whose hospitality is unparalleled, prepared a beautiful table including: cheesecake, homemade jam, granola, yogurt and wonderful platters of Israeli fruit. She fabrengened with the women regarding gratitude, sharing, "It's amazing that G-d gave us a neshamah (soul) but it's even more amazing that he let us know that we have a neshamah (soul)." Mayanot thanks all the women that came out and participated in this wonderful evening of sharing, fabrenging and learning, and hope that this beautiful tradition of gathering to learn, and reconnecting only continues! Aviel Yashar, Eli Polikar, Shahar Zuckerman, Emily Franklin, and Esther Amram. After many months of anticipation, we were finally on our way on our trip to Israel through Birthright Israel: Mayanot. When word spread that our flight to Israel was delayed about 10 hours, a wave of frustration spread through our group. Israel was having its worst snowstorm in decades-at the very same time as our scheduled flight. There was talk that we'd be stuck at Kennedy airport in New York for those long hours, and that our new flight would be so early we wouldn't even have time to sleep. While the latter was true, Rabbi Chaim Lipskier stood in line for us at a service desk and after a couple of hours managed to get our whole group accommodations for the night, as well as vouchers for the hotel and airport. Seeing our rabbi's sincerity and concern was early proof that I chose well by going on Birthright Israel: Mayanot with Chabad at UCF. That night was a better mixer than anything that could have been planned. While some chose to save their vouchers, most of us spent quality time with each other and mingled away. Afterward, our group naturally split into those that wanted to rest and those that were going to save the slumber for our early morning flight. I spent that night with a few people who were initially strangers and later became my best friends on the trip. Israel was absolutely breathtaking. Florida's flat terrain has allowed us to build all over it, and civilization dominates the land. In Israel it is nothing like this. The people and the land are married, and their civilization is integrated. As you travel, you find yourself looking up and down to see other cities. 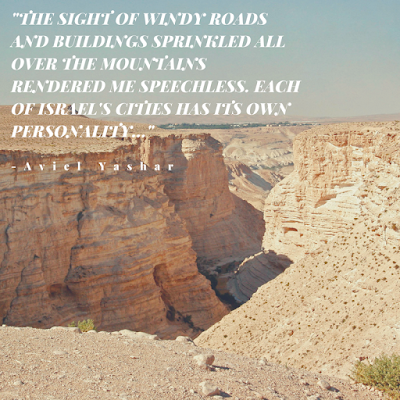 The sight of windy roads and buildings sprinkled all over the mountains rendered me speechless. Each of Israel's cities has its own personality; Tel-Aviv offers beautiful architecture, a heavenly beach and modern culture, while Jerusalem carries a holiness as ancient as its stone foundation. 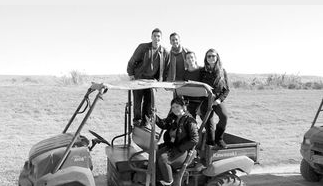 On our Birthright Israel trip, eight Israeli soldiers stayed with us. Although they've lived in Israel their whole lives, they realized they'd never seen the country in the way that they saw it with our group. 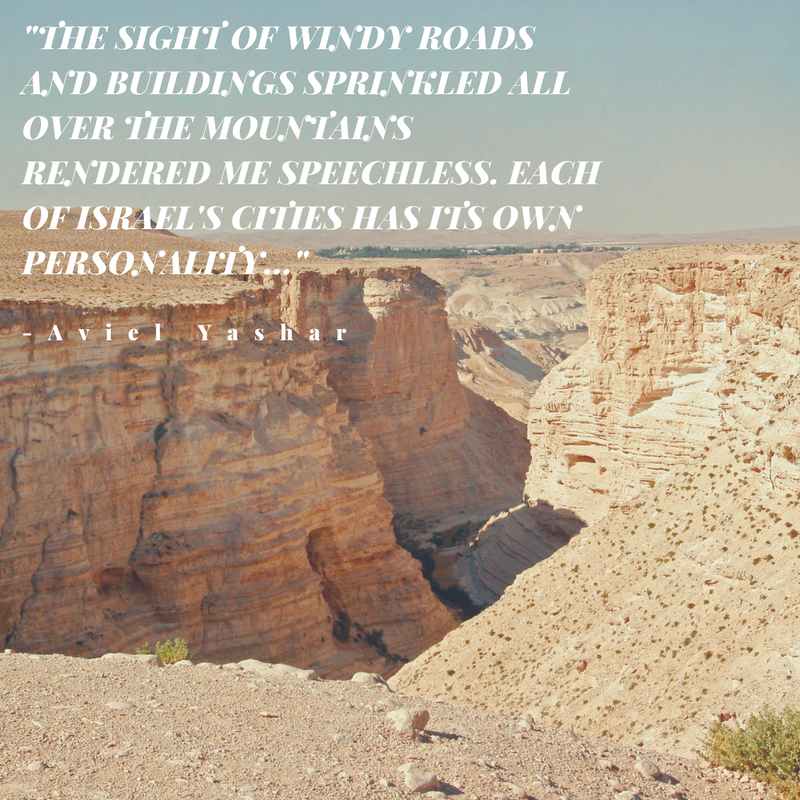 Our tour guide, Daniel, an American who made aliyah, exposed the richness of the land to us at every stop so we could see it with more than just our eyes. Daniel passed his passion on to us and we developed an appreciation for the land as well as for each other. Our group embodied the meaning of misphakha (family). We connected like we'd known each other for months although we'd only just met. My favorite moments in Israel were the intimate farbrengens and group discussions with the Chabad rabbis. 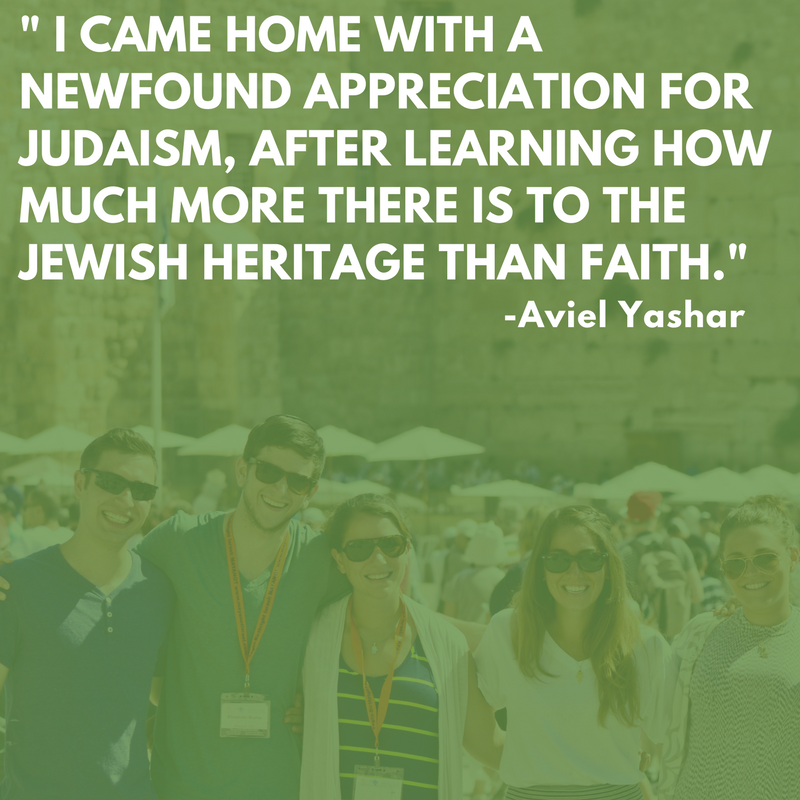 Speaking with other Birthright Israel groups made it clear that there was something special about Mayanot trips. I came home with a newfound appreciation for Judaism, after learning how much more there is to the Jewish heritage than faith. It's a culture, a history, and a privilege to be a part of. I have immeasurable gratitude to the donors of Birthright Israel: Mayanot, our loving staff member Tal, and especially our UCF Chabad Rabbi. The experience would not have been the same without them. Mayanot Alumni Wins First Place Prize! We are very proud to announce that Moishe Chakoff, our Mayanot Men's Program Alumni recently won first place in the Meaningful Life Center MyLife Essay Contest, taking home $10,000 for his incredible and insightful chassidut essay. We offer him a heartfelt Mazal Tov for this wonderful accomplishment. We also want to include an honorable shutout to Hadassah Silberstein, our Mayanot Women's Program Alumna who won third place prize and took home $1,000. View her essay here. People-pleasers feel they must ALWAYS be helpful, regardless if they are overextending themselves in their generosity . Psychologists believe this “Giving-Tree” mentality stems from an acute fear of isolation and rejection, wherein acts of “kindness” are really a ruse to cover-up negative feelings . Over time, this behavior could lead to severe physical and psychological problems. Chassidus not only gives the tools to curb people-pleasing tendencies, but also can teach a person how to transcend their fears of isolation and rejection. 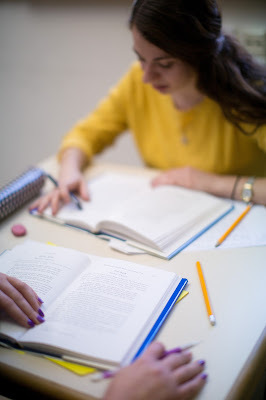 To achieve these goals, this essay will conduct personality profiles of Abraham Isaac and Ishmael, and analyze the beginning lines of the Shulchan Aruch based on the teachings of Chassidus. The terms Chesed, Gevurah, Tohu, Tikkun and Sheviras haKeilim will also be explained. The practical application of this essay will be based on a unique “M.A.P.”. This M.A.P. will help a person understand their Motivations (M), adopt a healthy course of Action (A), and help a person stand up for their core Principles (P) and beliefs in the face of adversity . Abraham is the personification of kindness in the Torah. He would find travelers to invite into his tent to eat, drink, and sleep if they needed lodging. He even cared about wicked people, as evidenced in his prayer for the citizens of Sodom and Gomorrah. What is kindness? What compels someone to care for other people? Chesed, which is the term for kindness used in Chassidus, means much more than the willingness to do a favor. When a person is truly kind, he (a) has an inherent desire for kindness, (b) he will give no matter how great or small someone is, and (c) it pains him when there is no one to share his kindness with. Chesed was Abraham’s defining attribute because he had all three qualifications. Thus, he gave of himself completely with his body, soul and material resources . -What motivates a people-pleaser to be giving? Is it because of their inner desire to contribute to the world? Or is it from a place of weakness, because they don’t want people to think of them as selfish ? -Do I prioritize my own needs, or have I neglected them because of my giving-tree mentality? 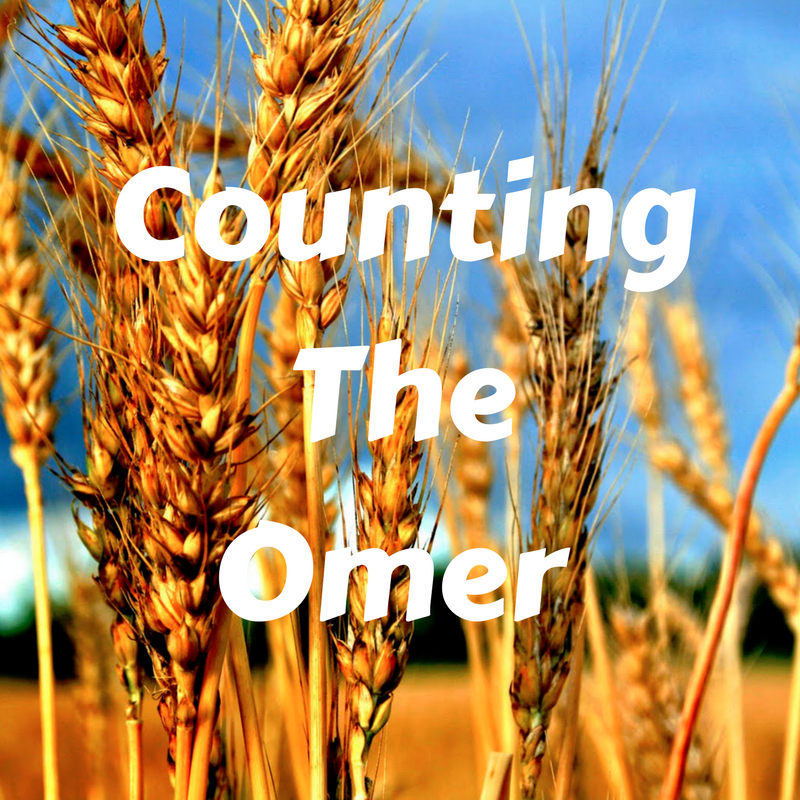 We see from Abraham’s younger son Isaac, who was the personification of restraint (Gevurah in Hebrew) in Torah, that controlling the amount one gives can bring about the greatest Chesed. Think of drip-irrigation . Too much water damages plants, and ultimately wastes water. Drip-irrigation delivers precise droplets to plants throughout the day, giving a plant the exact amount of nutrients it needs. This system also promotes great water conservation. Although it seems harsh to give small drops of water to plants, in truth it is best for them to receive exactly what they need to maximize their growth. So too in giving to another person, giving can turn into too much giving. Sometimes it is better to say “no” to doing favors for others . Think of how saying no (to others asking you for favors) can be beneficial. Isaac successfully integrated measured giving into his life. Abraham’s eldest son, Ishmael, was not able to do so. Chassidus explains that his main mode of expression was Chesed, but it was totally out of control. How could it be that Ishmael was so much like his father (who was also recognized by the attribute of Chesed), yet so different? There are two modes of spiritual reality known as Tohu, and Tikkun. Tohu can be described as a world of many points, in which the points are unable to touch or tolerate each other . Tohu gives the ability for one “point” to feel separate from all other, and separate from G-d. These separate points also “usurp” the feeling of G-d’s absolute existence and act as if G-d’s existence is their own . In our own lives, a person experiences a state of Tohu when they are being self-centered, and therefore cannot tolerate others. The inability of different entities to blend together in Tohu creates a Sheviras HaKelim, or shattering of vessels. Tikkun takes these shattered (intolerant) pieces, and puts them together in a way that they cooperate with each other. -People-Pleasers go overboard with their giving because they expect to be rejected . – “When you constantly give of yourself to your friends and family and do not permit others to give back in return, you are being manipulative and rejecting”. “Your motives for giving will ultimately be suspect” . To heal Ishmael’s chaotic kindness, Chassidus advises Ishmael to begin Music Therapy. To preface, the peoples of the Eastern Lands (particularly India and the Middle-East) are descendants of Ishmael. The uniqueness of a culture can be found in its music. Whereas Western music (Europe) is characterized by its joyful and sweet sound, Eastern music expresses bitterness and yearning . It may seem odd that Ishmael would enjoy bitter music, because Chesed is associated with feelings of joy. The Zohar tells us that within the Jewish people there are two distinct types of souls: Abraham souls and Isaac souls. When the Jewish people were exiled, the Abraham souls were exiled to the West and Isaac souls were exiled to the East. These souls descended into their geographical positions to heal their surroundings, and one of the most potent methods of healing is through music. Chassidus explains that the Isaac souls took the music of their adopted lands, stripped it of its extreme and selfish nature, and exchanged it with expressions and feelings of the soul . In other words, secular music expresses emotions that we already have [i.e. love songs express feelings of love, joyful songs express happiness etc. ]; Jewish music expresses the soul’s emotions, which we yearn to have . 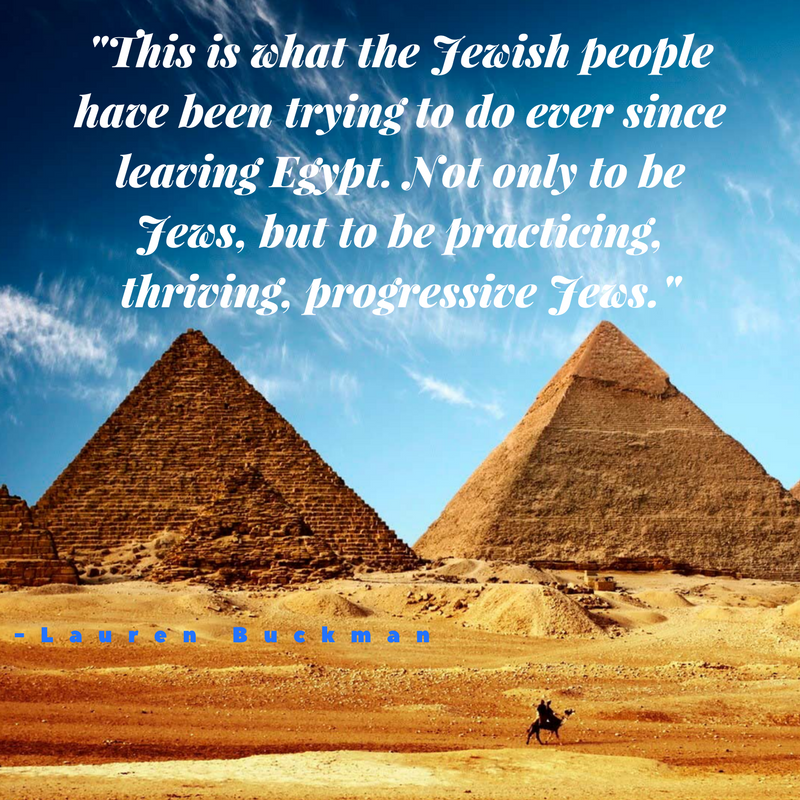 By listening to the soul melodies of Sephardic Jewry (Isaac souls from the Middle East and Asia), one may be able to modify their people-pleasing behaviors. It may also be beneficial to listen to certain Niggunim (Chassidic melodies) that express bitterness and yearning of the soul. Because of their fear of rejection, People-pleasers could end up compromising on their core principles so people will like them. This is a historical and psychological truth Jews have dealt with throughout history. 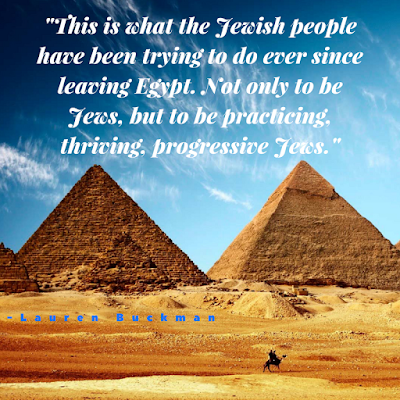 Some Jews abandoned Judaism due to fear of becoming social pariahs. The problem with this approach is that there are some people who will not like you no matter how nice you are to them . On the other hand, most people have a tremendous amount of respect for people who stand up for who they are and what they believe in. What can a people-pleaser do to rid themselves of their fears of being rejected, and stand by their principles? The Torah was acutely aware of the fear of rejection and isolation, and addressed it at the very beginning of the Shulchan Aruch. The Shulchan Aruch is the authentic four volume guidebook that lays out the details of how to conduct oneself based on Torah principles. In the opening lines of Shulchan Aruch, we are instructed to “not be ashamed by people that mock you” . It begins this way to hint to the fact that all 4 volumes of The Shulchan Aruch are dependent on this instruction. How does one fulfill this axiomatic Torah mandate? Especially for a people-pleaser, it seems easier said than done. The answer is found a little bit later in the Shulchan Aruch, which quotes King David who stated, “I have placed G-d before me always; because He is my right hand, I shall not falter” . Most people overcome moral dilemmas when they know someone or a group of people are supporting them. The Shulchan Aruch teaches us that if one meditates on the fact that G-d is always with them, they will be much more confident about overcoming any challenges; they will be cognizant of that fact that they have an unlimited amount of support from the Source of All Life (which is G-d) when they face adversity. Through this meditation, one can be freed of their fear of isolation and rejection, because they know G-d will never abandon them . Ask yourself, “Am I generous because it is integral to my life’s mission, or am I doing it to cover-up anxieties and fears”? Make an honest accounting. (1) Make a list of what you need for your physical, emotional, and spiritual well-being. Check off which needs are being met and which require attention. (2) Start a system of giving in a measured way, beginning with money. Use the Shulchan Aruch as a guide, which instructs us to give a minimum of one-tenth or a maximum one-fifth of our salaries. Learn the end of Chapter 34 of Tanya, which explains the spiritual significance of the latter type of giving . Use this as a springboard for others areas of your life where your generosity is overextended. (3) Download Sephardic and Chassidic music onto your iPod. Listen periodically throughout the day to temper your people-pleasing tendencies. In the mornings, study chapter 33 of Tanya to understand how G-d never abandons you, and is with you in your attempts to do the right thing . Final thought: Be A Tree! The Torah tells us that “Man is a tree of the field” . A healthy tree is always growing, and it produces good fruits. These fruits have seeds to produce more trees like it. The life-lesson here is that a person should always be growing and adding positivity to their life . In this way, people will not only be “pleased” by you, but they will also try to emulate you. By following your personal M.A.P. and thinking about this concept, one can be a true Giving-Tree. There are different levels of people-pleasing. The Disease to Please by Dr. Harriet B. Braiker has a helpful survey to determine how much of a people-pleaser an individual may be. This paragraph is based on Likkutei Sichos Volume 25 ,2nd Sicho of Parshas Vayeira page 84. See the entire Sicho there pages 79-85. See Likkutei Sichos Volume 20, 1st Sicho on Parshas Toldos, Page 100-107, which shows how Isaac brought about the greatest expression of Chesed through the channel of Gevurah. The Stress expert Dr. Hans Selye accepted the approach of altruistic egoism, that a person should be generous to others because of the stress that results from making enemies. He qualified this approach with the caveat that you cannot please all the people all the time, especially those that are out for personal vendetta and those that are vehemently hateful or prejudiced (The Stress of Life, Pages 452-456, and The Disease to Please Page 36-37). In this vein, the German writer Max Nordau once commented, “The Jews are not hated because they have evil qualities; evil qualities are sought for them, because they are hated” (The Great Thoughts by George Seldes Page 313). For the full list on winners and finalists, see more.